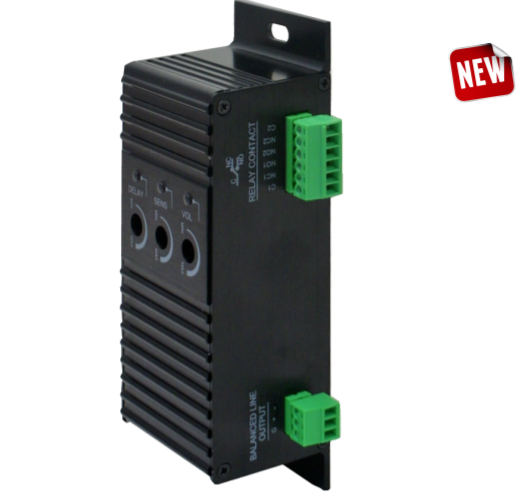 PR7400 is a new addition to VC / VP category, which is a module for providing a relay contact whenever a paging is in progress, as well as converting the 100V line paging audio to line level, all in a box. NO and NC relay of 1A contact allows local BGM source overriding, bypass local volume controller to allow central paging to pass through. This is useful during essential paging and whenever 24V DC overriding signal is not available in the cabling works. ​When it is required that the central paging to be broadcasted to local speakers utilising the local amplifier / system, it provides an audio conversion with balanced line audio.